Dentsu Aegis Network U.S. agency Firstborn has joined the global network of sibling shop Isobar, helping to expand the breadth and depth of the agencies' digital, design and technology offerings. The shops will operate under one P&L, which "changes the incentive," said Isobar U.S. Co-CEO Geoff Cubitt. "We will pitch as separate agencies and continue to have our own clients, but we'll also jointly pitch together and be able to win business that we may not have been able to win before," said Dan LaCivita, who will continue to serve in his role as CEO of Firstborn. He will also join the Isobar U.S. management team. He added that Firstborn, which has a little over 100 staffers, was often competing against companies five to 12 times its size, and there were certain efforts the agency just couldn't deliver on due to its size. "What this does is allows us to be much more competitive at a scale that we previously were not able to achieve, so being able to compete with the RGAs and Huges of the world at a different scale with Isobar is something I'm excited about," said Mr. LaCivita. 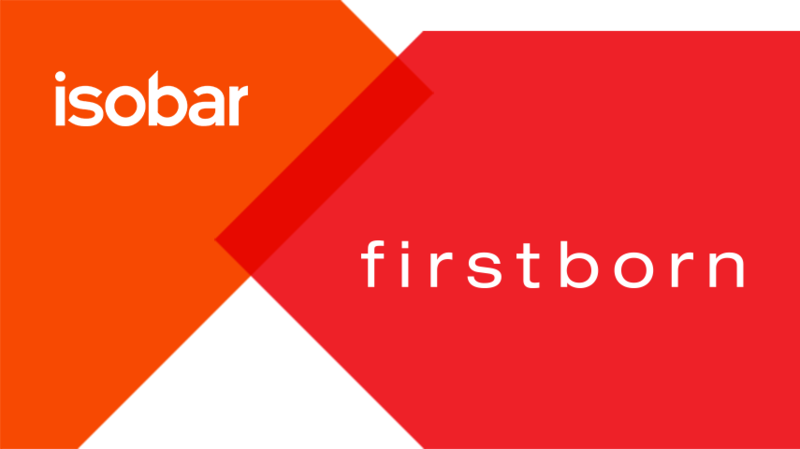 Isobar is known for its digital services, innovation and enterprise solutions, while Firstborn focuses a lot on strategic design and technology. Both agencies have been diving deeply in the AR, VR and mixed-reality spaces, so bringing the two together allows them to "go to that next level," said Jeff Maling, co-CEO of Isobar U.S. Some clients Isobar has been working with on VR and mixed reality include GM, Wyndham and USAF, and Firstborn has been working with Mountain Dew, Patrón, Chevron and Audible on VR efforts. In addition to its technology offerings, Mr. Cubitt said the move makes sense from a client perspective. For example, he said Isobar has a "pretty good" CPG offering, but "Firstborn has a great CPG story, so this will round out our overall story and ability to square up against client needs." Last fall, Firstborn picked up the digital creative business for brand Pepsi after a review that began in September. Earlier in 2016, Firstborn was hired to lead digital efforts for Michael Bloomberg's presidential campaign. The agency was also brought on by Vonage last spring to design its new website and handle digital content.